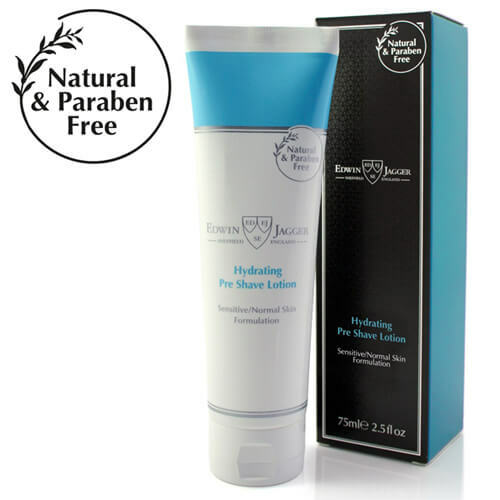 Paraben Free Edwin Jagger natural hydrating pre-shave lotion softens and prepares the beard for a refreshing, effective shave by enhancing the ability of the beard hair to absorb water. Comprising a unique blend of 99.9% natural ingredients, enhanced by plant extracts, the pre-shave assists razor glide, reduces razor burn and protects sensitive skin. Directions for use Moisten face with warm water. Using your fingers and circular movements gently apply the Edwin Jagger pre-shave to the beard area creating a protective layer. 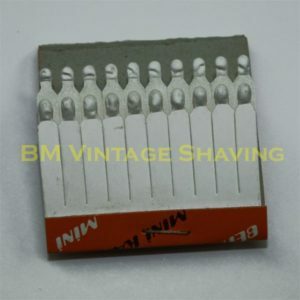 Now apply shaving soap or cream over the pre-shave and work into a rich lather. Using a shaving brush will improve the lather and with the combination of pre-shave and shaving cream/soap you will achieve an enhanced, smoother and more comfortable shave. 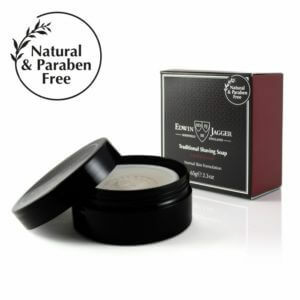 Apply Edwin Jagger moisturising aftershave lotion for the perfect end to your daily shave. N.B. For Health and hygiene reasons shaving cream products may not be returned for refund.